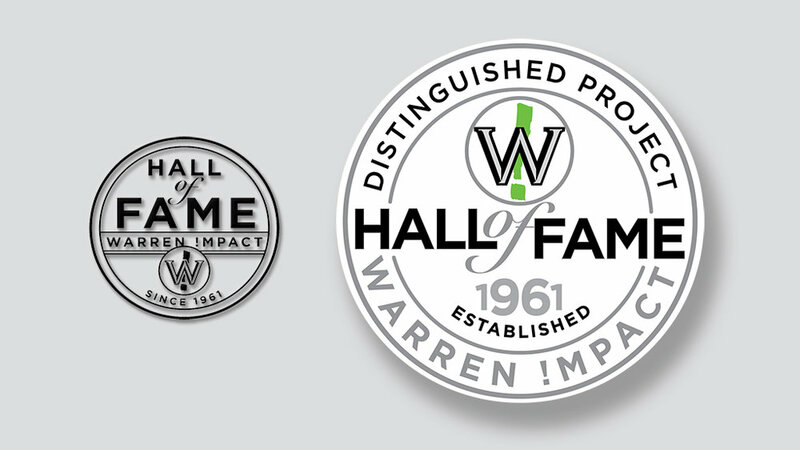 EYMER BRAND Laboratories + Think Tank has continued our integrated marketing work for production gurus, Warren Impact Graphics, LLC. The pieces demonstrated below include both onscreen and printed materials. 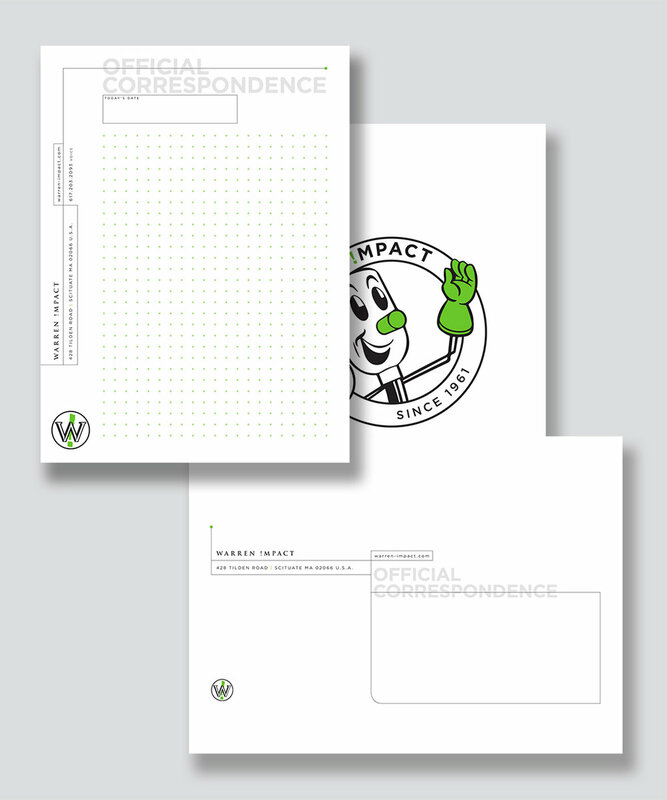 Printed project card, 5.75" x 8.75"
Rubber stamp (left) and kiss-cut adhesive label (right) that may be added to previously printed project cards. 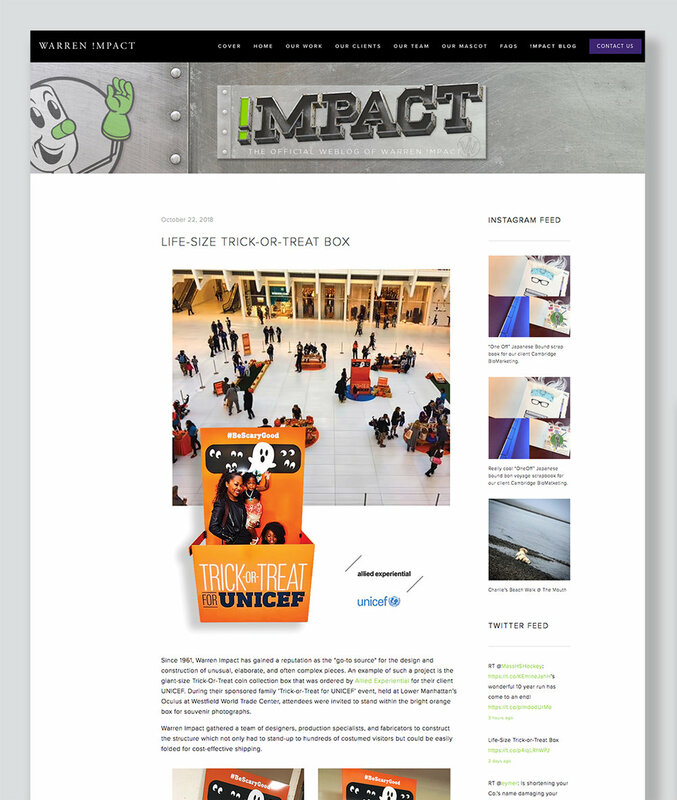 The electronic (e-mail version) of the project card. Note Card (4.625" x 6.25") and A-6 envelope (4.75" x 6.5") for handwritten correspondence.